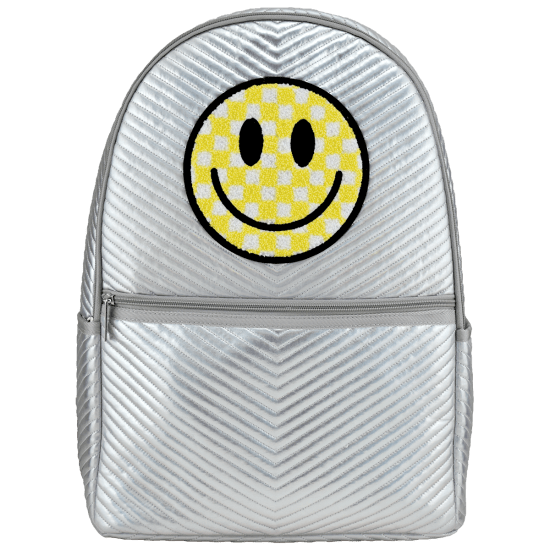 Carry a little bit of joy with you wherever you go with our checkered smiley face chevron backpack. 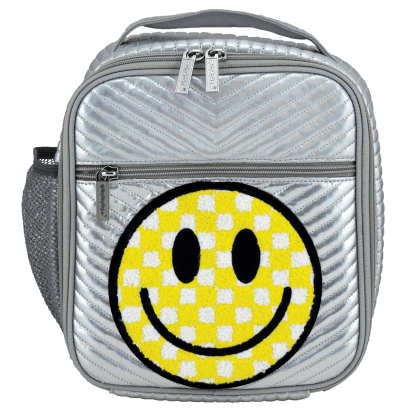 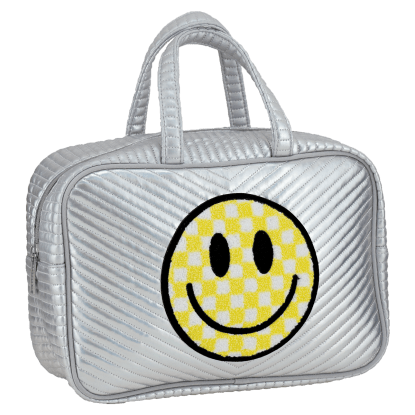 A fuzzy, sunshine yellow smiley face patch grins at everyone who looks at you from the back of this quilted metallic silver backpack. 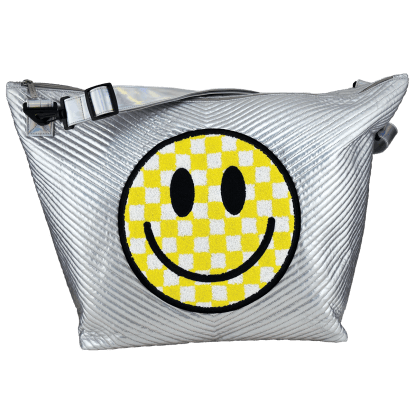 Roomy and with lots of pockets, it puts the FUN in functional!